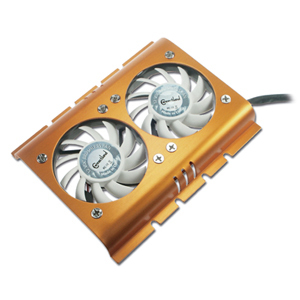 Aluminum special design heat sink for AMD XP 2200+ and higher. 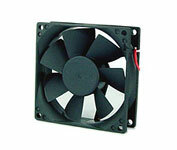 60 x 60 x 25 mm ball bearing fan for excellent cooling. ** Intel: P III (FC-PGA2) up to 1.2 GHz and higher, Celeron up to 1.2 Ghz and higher. ** AMD: Athlon up to 1.4 Ghz, Athlon XP 2200+ and higher, Duron 1.2 Ghz and higher(FC – PGA). 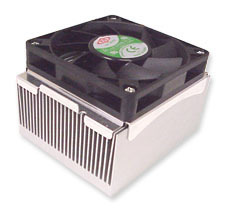 Fan dimension: 60 x 60 x 25 mm. 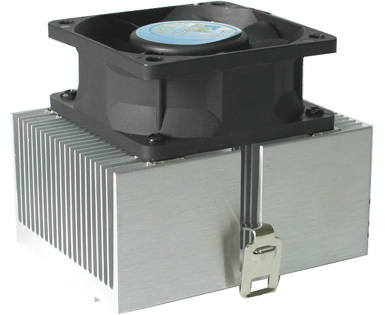 Heatsink dimension: 80 x 63 x 45 mm. Operation voltage: 8 VDC .